Look at that tail wag! Life is busy. And many of us just don’t have the time to exercise and socialize our dogs. 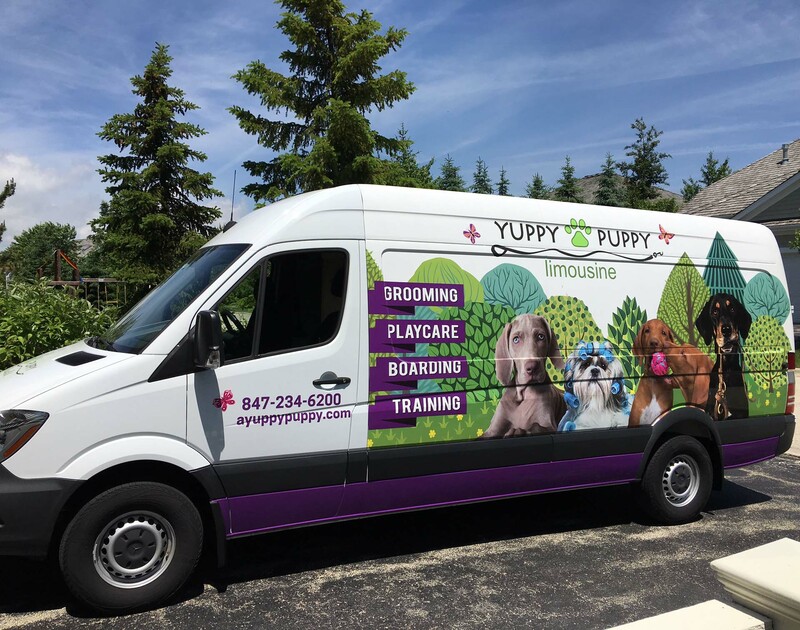 Yuppy Puppy Playcare curbs destructive behavior at home and builds confidence in your dog by providing a mentally, emotionally and physically stimulating play environment for your dog. Yuppy Puppy is not like other dog daycare operation. 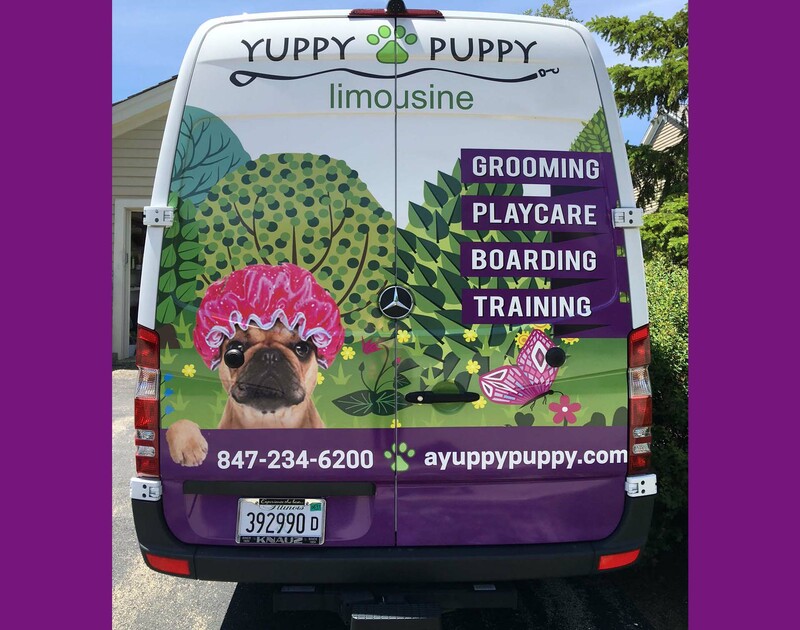 We cater to what both dogs and their owners desire……an upscale playcare facility with trained professional Pack Leaders who have the credentials and experience to enhance your dog’s social and behavioral skills, while providing the necessary exercise they need to be happy, healthy and well-adjusted pets. Our recently updated 8,500 sq. ft., climate-controlled, acoustically optimized indoor play areas are built for stimulating, safe and stress-free play. 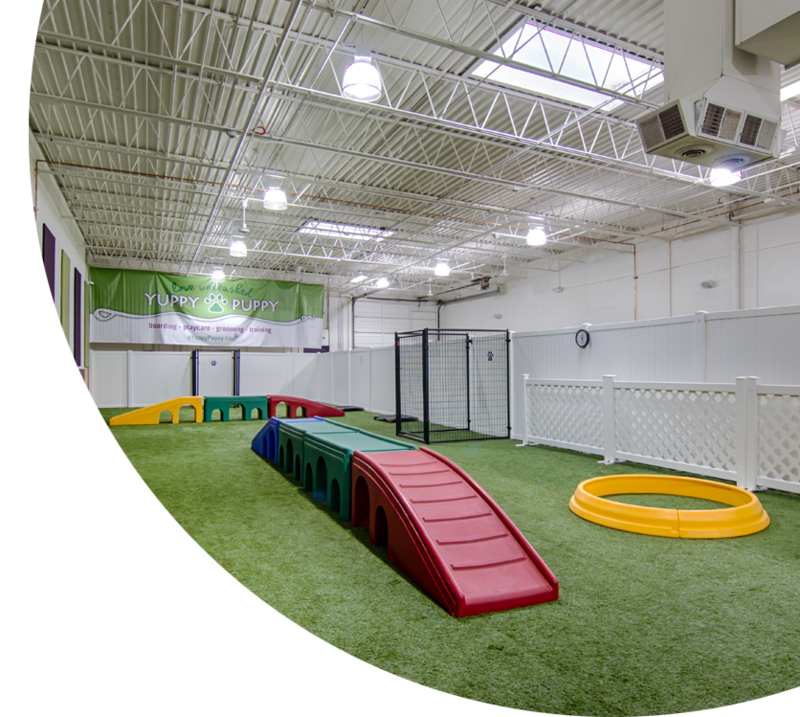 They are divided into two large play areas: one is 3000 square feet of 1/2″ premium rubber flooring and the other is 3000 square feet of indoor pet grass. Dogs are rotated every hour between the two, with different activities in each area. WHAT IS A TYPICAL DAY YUPPY PUPPY? Our dogs are managed under the watchful, trained eyes of our dedicated Pack Leaders. 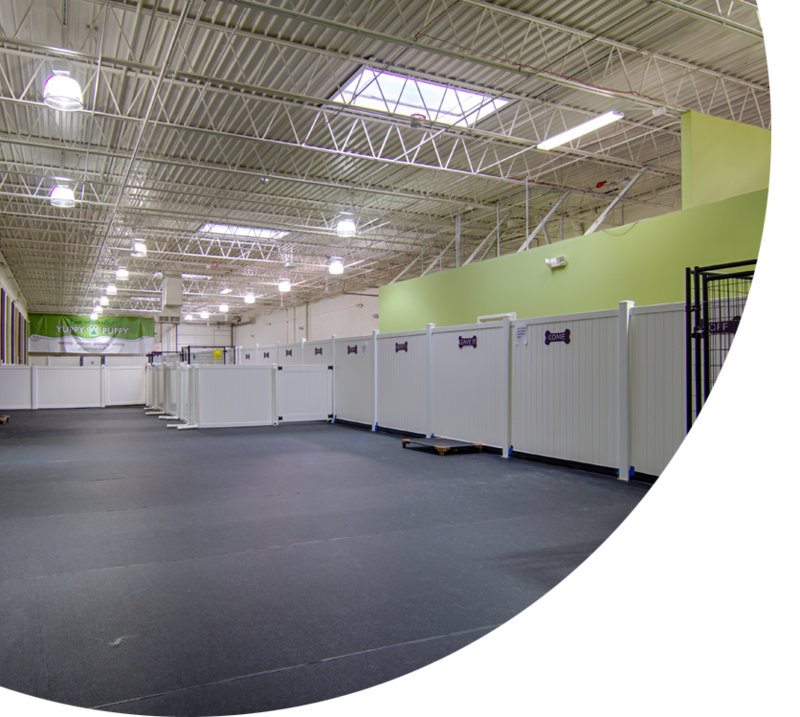 When you check in on our webcams, you’ll see that our daycare operates on a rotation platform, keeping dogs stimulated and happy all day long. We incorporate controlled play, exercise, mental stimulation, socialization and rest, all of which are vital to the wellbeing of your pet. We group furry friends in 10 to 15 dogs per handler to ensure maximum safety. Dogs are separated by play style and temperament, not size. You can request that your dog receive breakfast, lunch and/or dinner. Meals are served in one of our spacious kennels where they have 30 minutes to enjoy their meal and digest before rejoining their friends. Quiet time, nap time, lunch or snack, whatever we can do to make your dog feel at home away from home, it’s our pleasure to provide at no additional charge. During the 14 year history of Yuppy Puppy, it has always been safe for small breed dogs to play with larger, older dogs. However, due to client concerns, we have decided to exercise an abundance of caution and no longer allow dogs under 20 lbs to play in regular daycare. We now separate dogs under 20 lbs into a playgroup of their own. If we only have a few of those size dogs on any given day, we keep them in our office or in the special needs room for play. If you would like your small breed dog to be in regular daycare with the older group of dogs, we will ask you to sign a waiver indicating that you are aware of any risks of injury that may occur. WHAT ABOUT DOGS WITH SPECIAL NEEDS? Yuppy Puppy is well equipped to take care of your friend, even when he’s not feeling 100%. You’ll be comforted knowing your dog is getting the individualized attention he or she needs throughout the day in our dedicated special needs play area. Older dogs, dogs with special needs or recovering from surgery and/or dogs just needing some extra TLC have their own quiet area to play and socialize. With three separate toddler beds, rubber flooring to keep dogs joints comfortable and a television streaming Animal Planet to comfort the dogs, our special needs room is a happy place for dogs to play and relax.